iXensor, the leading mobile health provider, presented the topic “the accuracy of using the mobile device to measure HbA1c” at ATTD (Advanced Technologies & Treatments for Diabetes), Vienna. The outstanding clinical results with PixoTest technology turned experts and professionals on. “We’re proud to be at ATTD to present our innovation. Being certified by NGSP is our significant achievement. We’ve received lots of inquiry already.” Said Jerry Chen, the presenter and CMO of iXensor. It’s the second time of iXensor’s innovation to be presented at ATTD. Last year, the blood glucose testing with the smartphone with PixoTest technology reaching 98% accuracy, was presented by IDT (Institute for Diabetes Technology). The spectacular results amazed the attendees. The PixoTest technology utilizes the lighting and image sensing module of the mobile device to detect the color change reaction on the biochemical test strip (US patent grated.) With the control on light sources with multiple wavelengths from the screen light module of the mobile device, the PixoTest technology can be applied on different biomarker measurements. “HbA1c is a more complicated development. 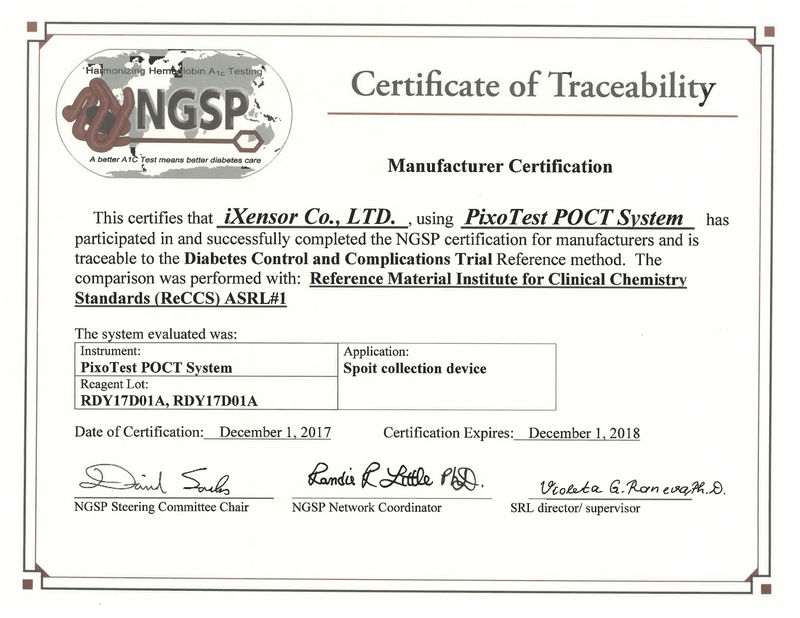 We innovatively integrate HbA1c and Lipid panel measurement at one mobile device – PixoTest POCT System.” Said Alan Tsai, CEO of iXensor, which is devoted to developing more chronic diseases related biomarkers, providing a more convenient and accurate mobile health solution for communities, pharmacies and clinics.